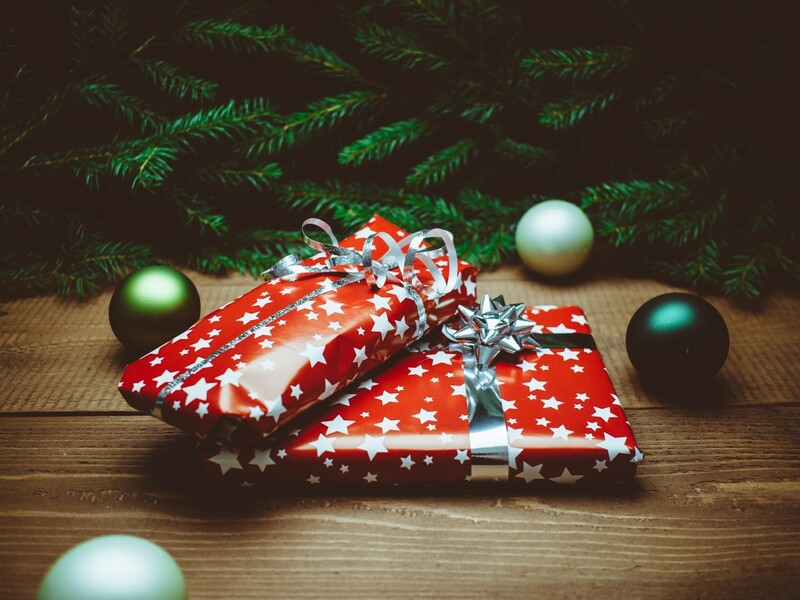 This article is a small gift guide that includes proven ideas for gifts that the kids in my family really like and have received for birthdays or for Christmas. Some of them might not be on the “most popular toy” lists, but they are not, by any means, out-of-date or boring toys. These are gifts that the kids in my family have played with over and over again. All the toys on this list are not only entertaining, but they trick kids to either stay active or learn something, which is always a big plus. 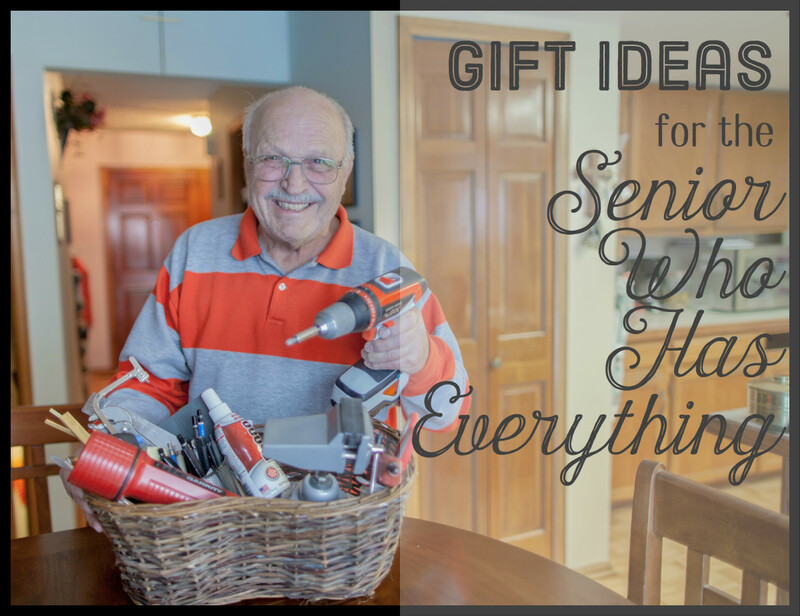 There are also couple of gift ideas that are not toys, but are still great for their imagination and can actually end up being a lot of fun. 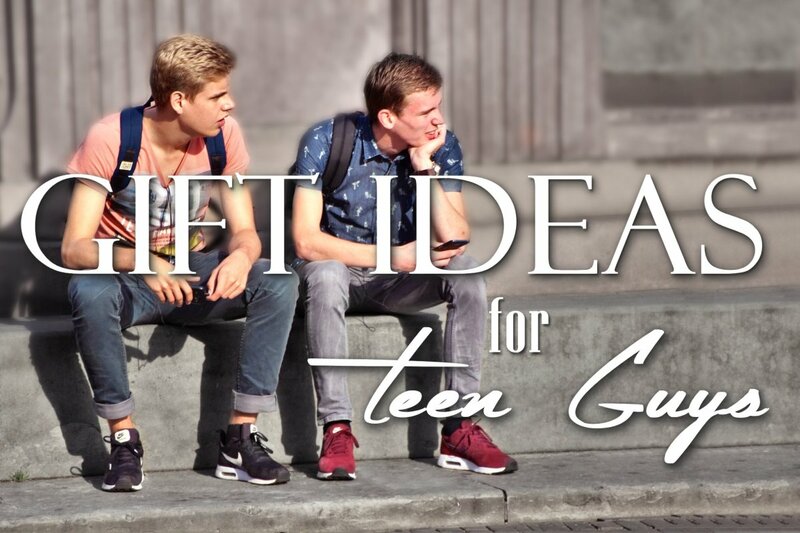 The ideas in this article are suitable for both girls and boys and you can be sure they will be asking for them on a regular basis. This Moff smart bracelet turns any regular object into a fun toy and makes an awesome gift for a kid. Playing make-believe is probably one of the favorite pastimes of many kids and an essential ingredient for a happy childhood. Kids love imaginary games because through them they test how the world works and where they fit in. The first gift idea is a smart, wearable toy that kids can put on when playing imaginary games and make them even more entertaining. For those who have never heard of it, Moff Band is a bracelet that snaps around the wrist and connects to an app on a tablet or smartphone. The bracelet senses the movement of the wrist and the app makes noises based on that movement, thus, turning everyday objects into toys. For example, a kid can hold a banana, pretending it is a laser gun, and the app will start producing laser gun sounds once an appropriate gesture is made. The free app includes over 30 realistic sound effects, but many more can be downloaded. The cool thing that adds to the realism of the experience is that most effects have two distinct sounds – one for the up and down movement of the hand and another for the left and right movement. 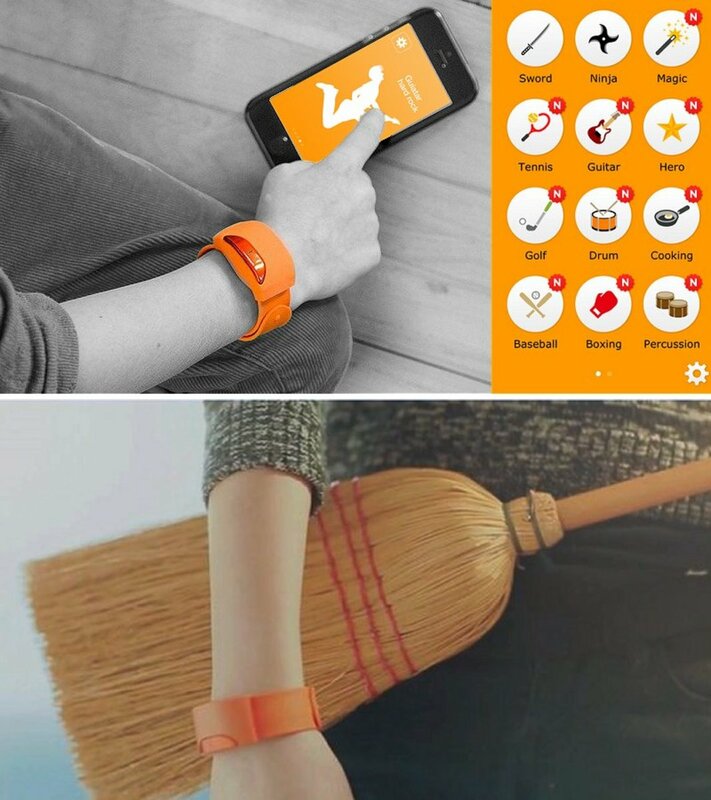 You can also connect a second Moff Band to the app, so two kids can play together and have sword fights or tennis matches. This uber-cool bracelet can be the perfect birthday or Christmas gift that will get your kids stay active and away from the video games. 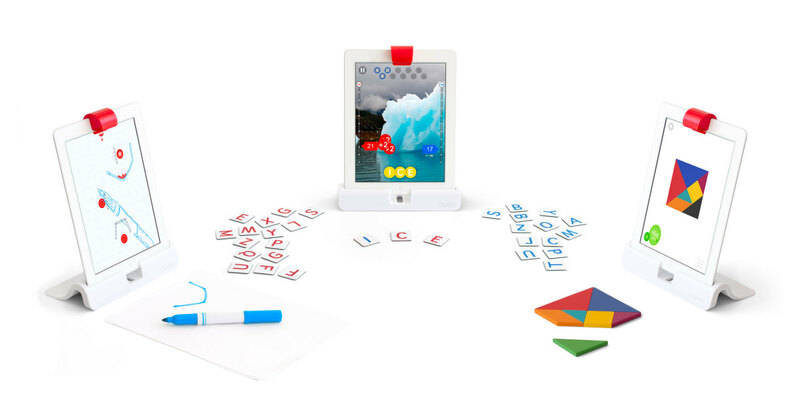 Osmo Gaming System - Great gift for kids that combines digital and physical play. These days, not only adults, but kids, too, want to play with smartphones and tablets. Kids are becoming familiar with digital technology and devices earlier than ever. In fact, according to some research, more than half of children between the ages of five and eight have already used tablets to play or learn. If you are one of those parents who are tired of watching your kids staring zombie-like at a screen, you should also consider getting them an Osmo gaming system as a gift. Osmo is an iPad accessory and software that allows the iPad screen to recognize real, physical objects. What is interesting about it is that combines the best of the physical and digital play. The Osmo accessories include an iPad stand and a small mirror that you clip onto the top of the iPad. What the mirror does is directs the iPad front-facing camera 90 degrees downward, and the software turns the area in front of the iPad into a digital playground. Osmo comes with several game pieces like letter tiles and puzzle pieces for play, but you can also use other real-world objects. Basically, anything that the camera can see – Lego pieces, toys, pencils, etc. – you can use for play. Osmo has four free apps to choose from – Masterpiece, Words, Tangram and Newton. “Masterpiece” is probably one of the coolest apps they have. 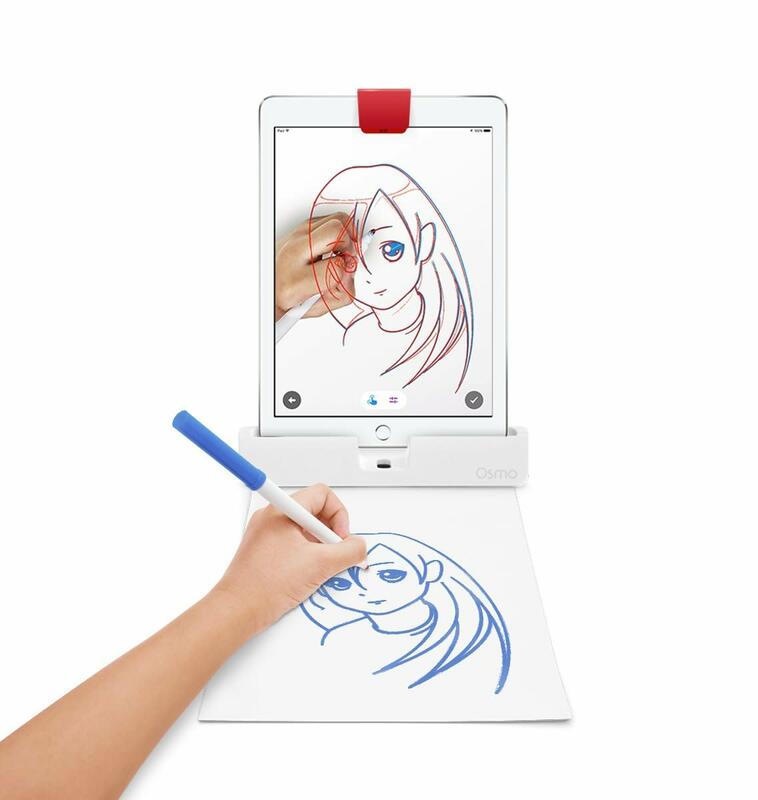 It is a drawing app that can turn any object into an easy to draw outline and kids can trace it on a paper in front of the iPad. They simply have to follow the lines they see on the screen. Kids can start with simple drawings included in the app or take their own photos. “Words” is a high tech version of the classic Hangman game. The kids toss down real letter tiles to guess and spell out hidden, on-screen words and the app will read them. “Tangram” is an interactive puzzle game. The app displays the outlines of a puzzle and the kids must recreate it using the provided wooden shapes. “Newton” is similar to the popular Enigmo game. The difference is that kids have to use real-world objects to guide the falling balls on the screen. There is also a new game called “Numbers” hat is sold separately. As you can guess by the name, it is a fun math game that allows kids to learn math at their own pace. Osmo makes another good Christmas or birthday gift for kids, because it will help them improve their school skills without even realizing it. They will just think that they are playing online games. "Flashlight" - Very cool and unusual wordless book for kids. Books, of course, are awesome gifts for kids. The next gift idea, however, is not your typical children’s book. It is an interesting wordless book called “Flashlight”. Yep, that’s right, no words. Because there are no words to “read,” wordless books can be perfect gifts for kids of all ages – whether they are readers or not. They can help them develop observational skills, storytelling skills, encourage the use of descriptive vocabulary and encourage creativity. 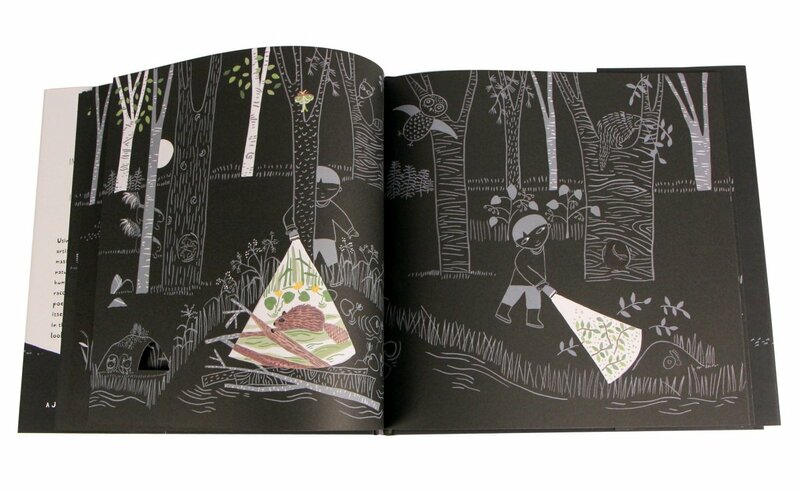 “Flashlight” tells the story of a little boy who is camping in the woods, where it is too dark to see what is surrounding his tent. He grabs a flashlight and goes outside to discover what exactly is in the dark of the night. Kids get to adventure along with him as he encounters friendly raccoons, bats, owls, beavers and other nocturnal critters. What is unique and fun about this book is the gray and white illustrations on black pages that beautifully capture the magic of the nighttime wildlife. The pages are mostly dark, except for what is illuminated by the flashlight beam. Many pages of the book also have small peephole cut-outs that give a sneak peek of what is to come. Many kids will notice these things only on the third or fourth read-through. The “Flashlight” book can be a thoughtful gift for a kid that is afraid of the dark, because it shows that things are just the same at night as they are in the daytime and there is nothing threatening about the nighttime. Giant Fort-Building Kit - Fun Christmas gift for active kids. Remember when you were a kid how much fun it was spending hours building forts with couch cushions and blankets in your living room? 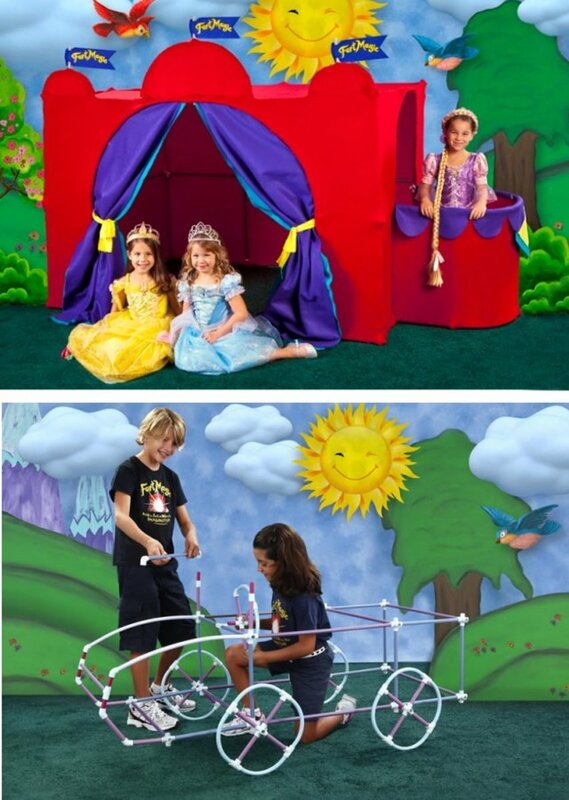 Well, the next gift idea allows kids to build not only forts but just about anything they can dream about. It is called Fort Magic and is a large-scale construction kit. The kit contains plastic rods and different connector shapes that can be assembled to build forts of all shapes and sizes. And by “all shapes and sizes” I mean things like pirate ships, cars, rockets, castles, teepees and tunnels. What sets Fort Magic apart from other similar kits is that it includes curved rods. They make all the difference between building really cool things, like submarines or cars, and building ordinary tents. Kids can even create moving parts such as steering wheels and doors that open and close. Another thing that takes the fort-building to a whole new level is the included fabric clips. They hold whatever covering your kids use for their fort to any shape they create. 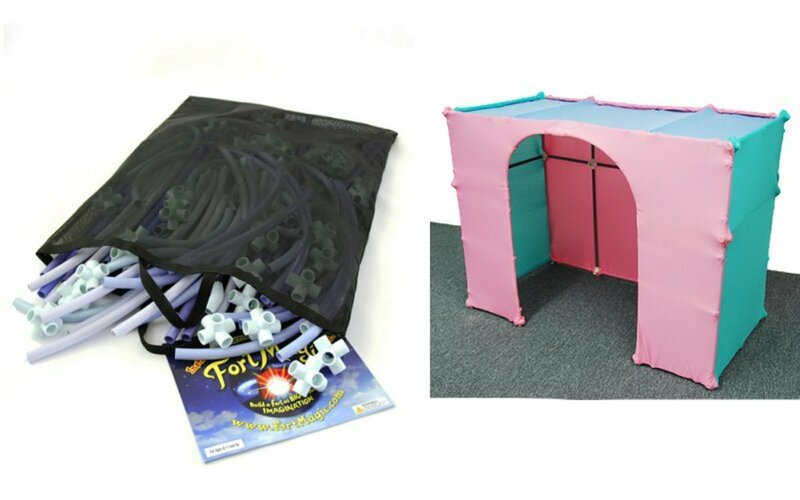 With the clips kids can actually wrap their forts in fabric instead of just throwing a blanket on top of them. What this construction toy does not come with, however, is the fabric covers, but bedsheets and fun-patterned fabric form Ikea work great. If you are wondering if your kids’ masterpiece will fall to pieces when they bump into it or touch it: it will not. The plastic rods and the connectors are pretty strong and they even allow kids to move their forts around the house without them collapsing. Space constraints aside, toy storage is always an issue in kids' rooms and many parents may be asking themselves: “Where do we store a gigantic fort that takes up the whole living room?” Well, the kit comes with a roomy, mesh bag that fits all the disassembled pieces and it is easy to slide under a bed for storage. The bag also makes it easy to take the kit with you to the grandparents’ house. The best thing about Fort Magic is that it makes kids use their imagination, entices them to work together and inspires them to plan and solve problems. Most parents will agree that there is nothing better than watching siblings playing nicely together. 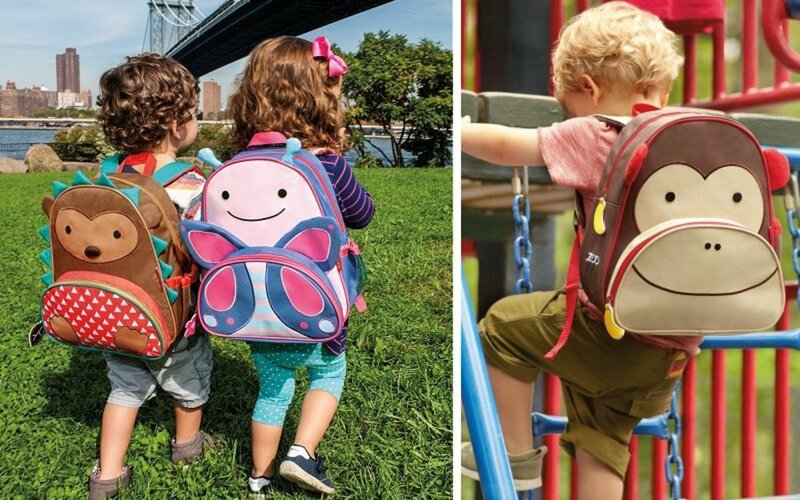 If you need a gift idea for a toddler or preschooler that is headed off to school or daycare, these super adorable backpacks from Skip Hop might just be the thing you are looking for. They are so cute that your kid will actually want to be the one carrying it to and from school. The backpacks are from Skip Hop’s Zoo line and are all shaped like animals or bugs. Have in mind that they are just the perfect size for preschoolers or toddlers. Some moms even use them as diaper bags. But if you are looking for something that will fit large notebooks, this will be too small. The quality of the Zoo backpacks is very good and there is plenty of space inside for everything that a kid may need for preschool. There is enough space for a change of clothes, some basic toys and snacks. The backpacks have a write-on nametag inside and a lining that makes accidents from lunches easy to clean. Each one has a front pocket, which is usually the mouth of the respective animal, that is insulated and keeps snacks from getting too cold. Only the front pocket is insulated, though, not the whole backpack. The front pocket also has a mesh pocket inside for extra organization. And as a big bonus, these cute backpacks are BPA and phthalates free, so they are eco-friendly. 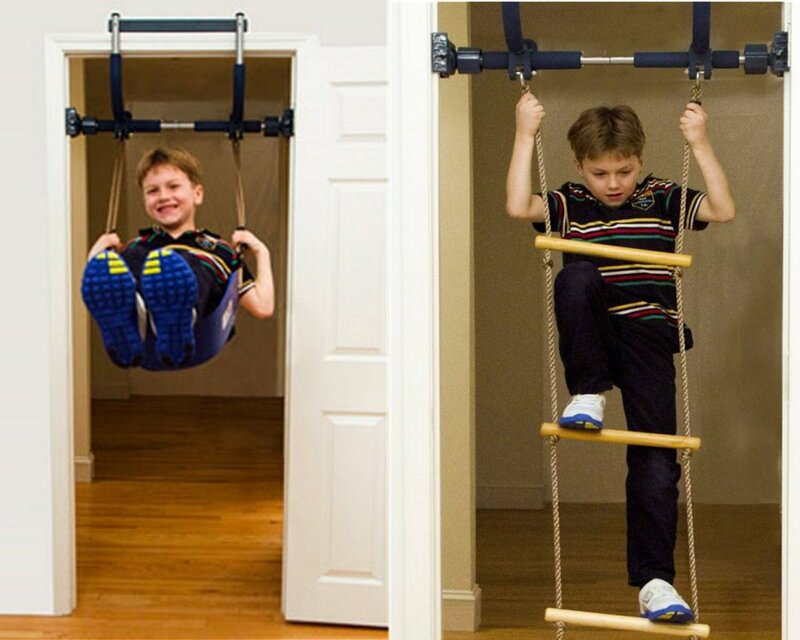 Home indoor gym - the perfect Christmas gift for kids that lets them play when the weather is cold. When winter rolls around, many parents may struggle to find fun indoor activities to keep their kids busy. There is only so much reading a kid can take and only so much video games a parent will allow before needing to get out of the house. The unfortunate reality is that cold weather limits the outdoor activities of children. Fortunately, it doesn't have to be that way. This is when the Gorilla Gym comes to play. The Gorilla Gym is a doorway system that mounts to your door frame, pretty much the same way as those doorway pull up bars. You don’t need to drill holes or put permanent fixtures in order to install it and it can be easily taken down when not in use. It comes in different packages with different attachments. The full package includes swing, trapeze bar, climbing ladder, swinging rope and plastic rings, but you can also get a package that includes only a swing. Most kids will probably love the swing the most and won’t use the other accessories that often, so having the option to get a smaller package is great. This indoor gym would be a welcomed Christmas gift, for example, because it lets kids get their energy out when the weather does not cooperate (and gives parents hours of free babysitting). 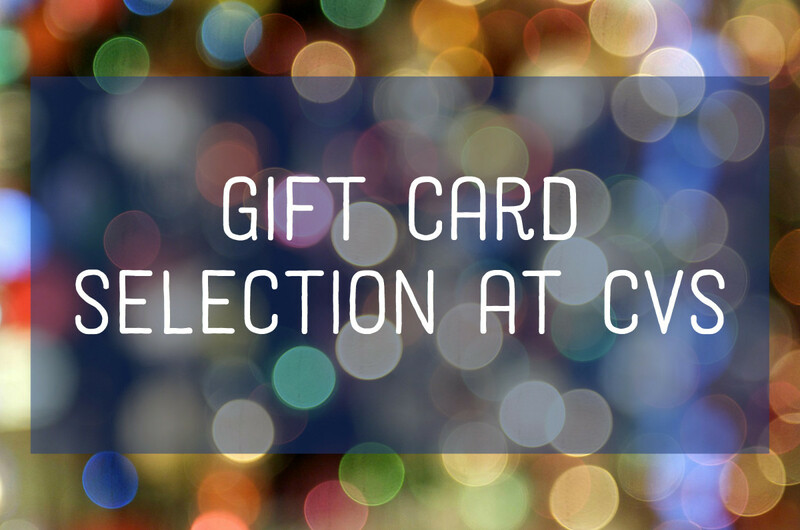 It is also a very versatile gift, because adults can use it too. It supports up to 300 lb. and if you buy a whole bunch of different attachments you can use it for fitness, boxing or yoga. Unique bedding sets that will make kids go to bed early. Probably one of the most challenging things most parents face is putting their kids to bed. There is usually a lot of whining and arguing that leads to a lot of frustration. 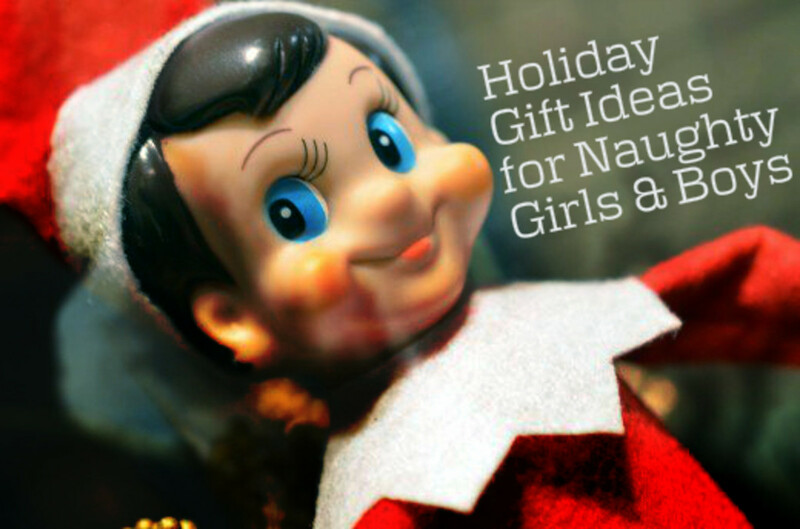 The next gift idea might give you a chance to put them to bed a bit easier. Dream Big is a line of comforter sets specifically designed for kids. They come in various cute designs like princesses and ballerinas for girls, and firefighters and race car drivers for boys. The thing that kids like most about these sets are the life-sized images printed on them. 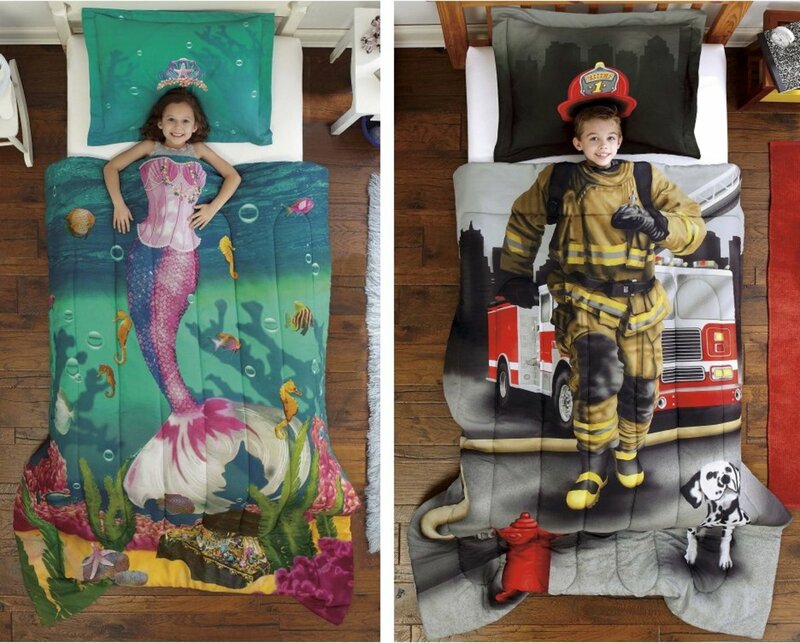 They look very realistic and when a little boy or a little girl lays under the comforter it looks like they are wearing a beautiful princess dress or a cool firefighter costume. The colors of these bedding sets are rich and will add a little something extra to any kid’s bedroom. 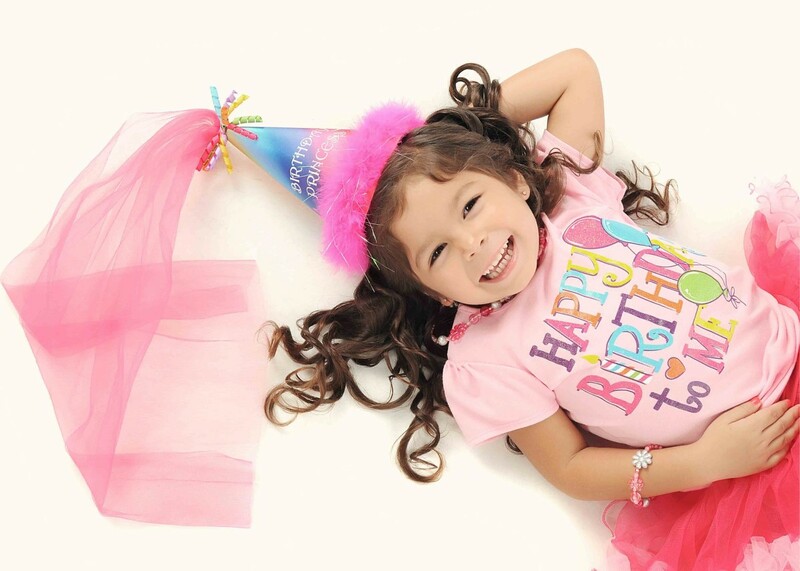 Building sets, such as LEGO, are classic birthday gifts for kids and popular gift choices around Christmas. What makes them great gifts is the fact that when kids play with Lego, they are often problem-solving, learning design skills and just exercising their minds. LEGO sets come in so many different themes and sizes, but LEGO Creationary is a bit different. It is a game that plays a lot like the classic board game Pictionary, but with LEGO bricks. A player rolls the dice to select a building category. Then the player picks a card and needs to build what is drawn on their card. The nice thing is that the pictures on the cards don’t show LEGO constructions, but normal drawings, so kids have to use their imagination and figure out how to build these objects. Also, the objects they build don’t have to be an exact replica of the picture on the card. 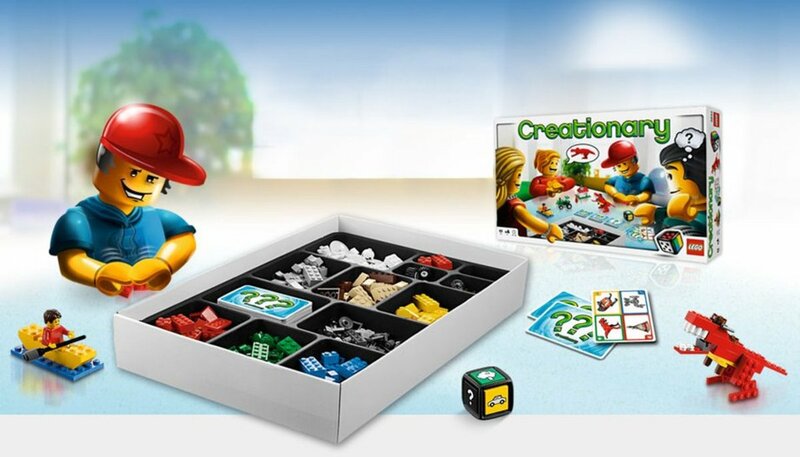 Creationary would make a nice birthday or Christmas gift for a Lego-loving kid and, at the same time, is a great way to ensure an imaginative and creative family game night.